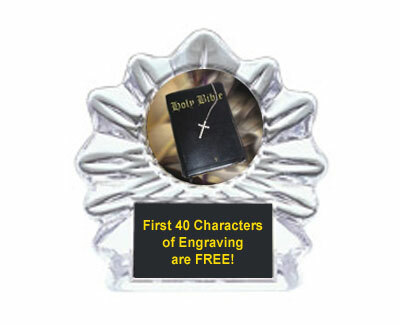 These cool acrylic Religious Ice Awards are great for Sunday School, Bible Study, Vacation Bible School and Church Awards. The Religious Ice Awards are available in 3 styles and two size options per style. 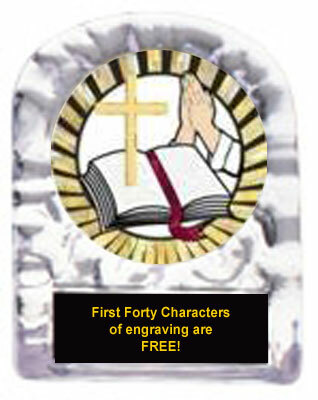 Each Church or Sunday School Ice award comes with your choice of colorful 2 inch insert. 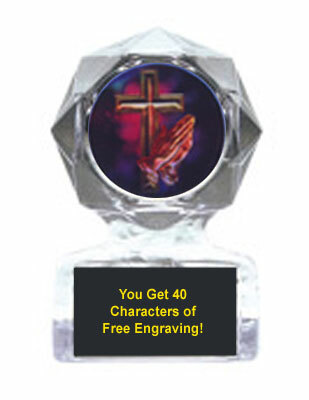 We give you 40 characters of free engraving on these beautiful religious awards are easy on your budget. If more engraving is needed it is only 7 cents per character. Click on the award you like for more information and make your purchase. If you have any questions please call 1-800-787-8777 or send an email.